On March 22, 2019, on my way from Jakarta to Yogyakarta, I heart the news: Yamin died at 2 pm in the afternoon at Majalengka. He was supposed to organize a campaign in Yogyakarta for President Jokowi, on March 23. For the past two months, Yamin has traveled to the communities in Ciamis, Bogor and Serang areas. These three regions became the basis for Islamic voters who rejected Jokowi. Two days before he died, Yamin called me with a cheerful tone: he wanted to involve more people in the community. “As before, we are working on organizing the community. Even though stamina is not as good as it used to be there is still a spirit of enthusiasm”, he told me. 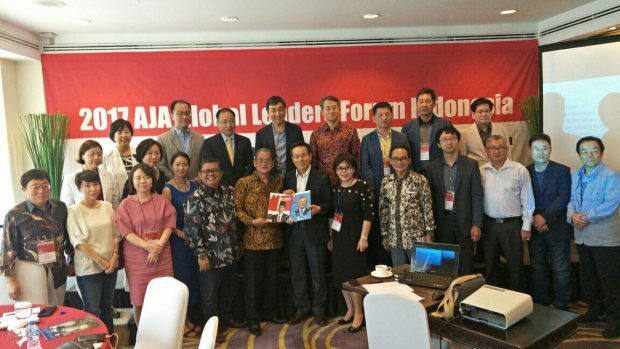 Despite his position as general chairman of Jokowi’s National Secretary and Deputy Director of Winning Jokowi, Yamin went directly to the community. He was indeed a genuine organizer. Yamin had a long experience as a campus activist, member of the House of Representatives and Jokowi’s 2014 winning organization. According to Wahyu Susilo, a migrant rights activist, the wave of resistance against President Soeharto’s dictatorship emerged in 1977-1978. Yamin started actively working in the Student Press through media, at the Press Institute of the Faculty of Law of the University of Islan Indonesia. Yamin distributed campus magazines focused on military and politics; even if those were sensitive topics, they spread on campuses. The peak of Indonesian students resistance to President Soeharto’s military regime broke out in 1989 when two students from Gajahmada University and a young man in Yogyakarta were arrested for spreading a book written by Pramudya Anantatoer. The three of them were accused of subversive activities, holding discussions on Marxism and circulating forbidden novels. All student activists (300 in total) came from various cities in Indonesia to carry out solidarity. The majority of them lived on Rode 610 street, where Yamin and his boarding houses belonged. Later this Rode house became a place for the student’s resistance against the military regime of Soeharto government. During Yogya incident (September 9, 1989), hundreds of students protested and organized a long march from the Yogyakarta district court office to the Yogyakarta Regional Representative Council office. A new line arrived in front of the garden of Kusumanegara’s tomb but was blocked by policemen and soldiers. There were unbalanced clashes, dozens of students were trampled on by army boots, kicked and plunged by Kusumanegara sewers filled with cow dung. Others were arrested by the Army and transported by trucks to the army headquarters to be interrogated. The bloody Yogya experience was useful for awake Indonesian activists. However, they did not have experiences of community organizations, neither they had experiences in taking action against the army. One of the best-selling readings is “Gwangju Democratization Movement”. Yamin was not a heavy reader of books but he had a sharp memory of every event, including the Gwangju one. The Gwangju Uprising inspired Indonesian students to fight against the military regime. In Gwangju (South Korea), in 1980, a democratic movement took place. In 1979, when the President Park Chung-hee came from the province of Gumi was killed, General Chub Doo-hwan and Roh Tae-woo took the power. On May 18, 1980, residents of Gwangju City (South Jeolla Province) went to the streets to demonstrate. Armed forces carried out brutal actions and even released several shots against demonstrators who initially took part in the event peacefully. Although unarmed demonstrators were injured, they continued to protest. Gwangju residents tried to establish a defense and negotiate peace but the government refused. Many demonstrators were killed in the incident. If students in Gwangju had fought against the military in alliance with the workers, in Indonesia the movement asked help to the farmers. Yamin began helping Farmer Kedung Ombo with a dam on his land. Then, the model of the alliance between students and farmers began to spread throughout Indonesia. In West Java the Cimacan case, Badega, in East Java the Blangguan Case, and also in Lampung and Padang resistance emerged. In Cilacap there was also a fight against Shell’s foreign company in partnership with Bimantara to displace farmers’ lands. Rode Yamin boarding place became a gathering place for all activists. The resistance against the military dictatorship continued. Student groups in Yogya, including Yamin, secretly began to explore an underground organization which eventually became a party of resistance to the military regime of the Soeharto government. 1990 was an unpleasant year for activists because of government control. However, Yamin took his old car for going to a meeting called Persatuan Rakyat Democratic; it later became the People’s Democratic Party and was the main enemy of President Soeharto’s military regime. Since 1998, many members of the PRD have been kidnapped and have not returned. As ahead of the revolution, Yamin returned to Palembang, his hometown, and help farmers to organize. After President Soeharto resigned, Yamin joined the Democratic Party of Struggle to run for membership in the Central Parliament. Yamin was elected member of the Board from 1998 to 1993. He was a flexible activist with political instinct; moreover, getting along with him was easy. Yamin’s people stayed loyal to the ideology of democratic nationalism. He saw his party win and loose. In 2013, Yamin began to consider the creation of an organization to support Jokowi for the 2014 general election. The 2019 presidential election was characterized by political and religious frictions. Yamin believed that President Jokowi could win. 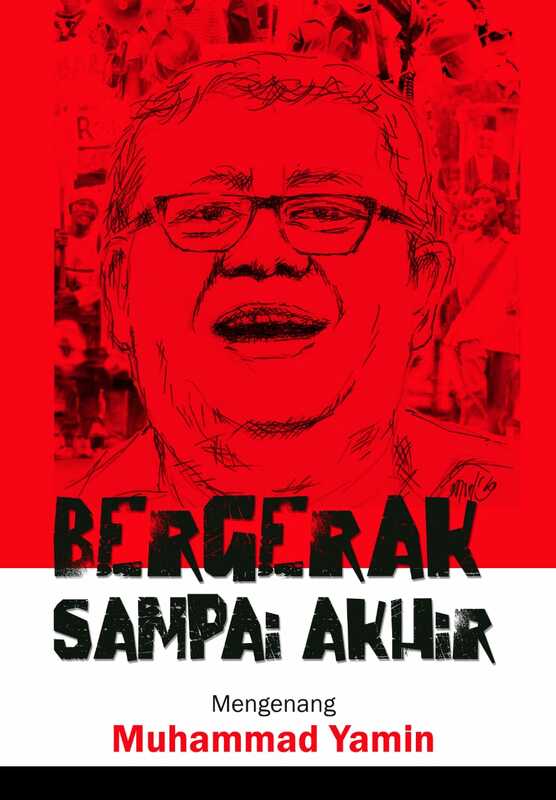 As people’s activists, in 2019, he worked hard to organize the community to support President Jokowi. A resting place for revolutionary fighters can be only in the grave. Goodbye, Mohammad Yamin.